Mosque Kitchen, 33 Nicolson St, EH8 9BX. 0131 667 4035, mosquekitchen.com. Daily 11.30am-11pm. 28 Clerk St, EH8 9HX. 0131 662 9050, kampongahlee.co.uk. Mon-Thu noon-3pm, 5-11pm. Fri-Sun noon-11pm. Saigon Saigon, 14 South St, EH2 2AZ. 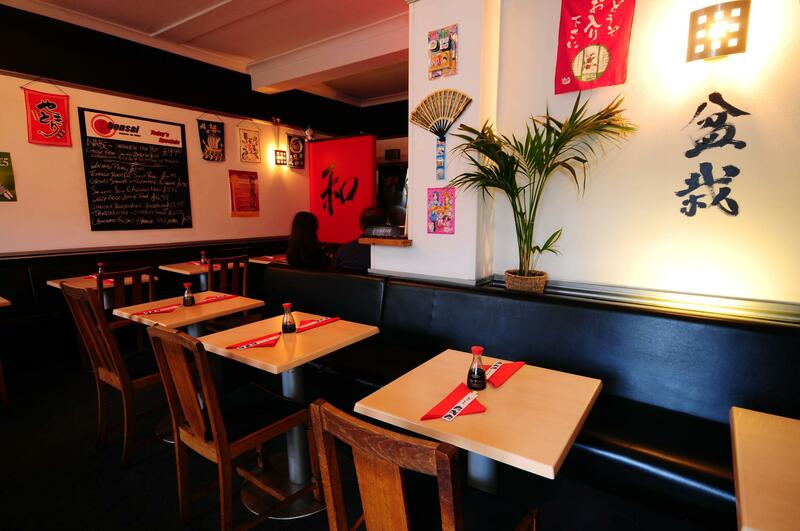 0131 5573737, saigonrestaurant.co.uk. Daily midday-11pm, lunch buffet midday-4pm. Kismot, 29 St Leonards St, EH8 9QN. 0131 667 0123, kismot.co.uk. Wed-Mon 4.30- 11.30pm. Bonsai Bar Bistro, 46 West Richmond St, EH8 9DZ. 0131 668 3847, bonsaibarbistro. co.uk. Daily noon-10pm. Also at 14 Broughton St, EH1 3RH. 0131 557 5093. Sun-Thu 12.30-10.30pm, Fri & Sat 12.30-11.30pm. Mother India, 3-5 Infirmary St, EH1 1LT. 0131 524 9801, motherindia.co.uk. Mon- Thu midday-2pm, 5pm-10.30pm, Fri & Sat midday-11pm, Sun midday-10pm. North Berwick Harbour. 07910 620 480, lobstershack.co.uk. Summer hours noon-8pm. 51-53 W Nicolson St, EH8 9DB. 0131 662 0828, red-boxnoodlebar.co.uk. Daily midday-10pm. Mum’s, 4a Forrest Road, EH1 2QN. 0131 260 9806, monstermashcafe.co.uk. Mon-Sat 9am-10pm, Sun 10am-10pm. Meadow Bar, 42-44 Buccleuch St, EH8 9LP. 0131 667 6907. Daily midday-1am. City Restaurant, 35 Nicolson St, EH8 9BE. 0131 667 2819, thecityrestaurant.co.uk. Daily 8am-1am. Garibaldi’s, 97A Hanover St, EH2 1DJ. 0131 220 3007. Daily 6pm-3am. Snax Cafe, West Register St. 0131 557 8688, snaxcafe.com. Mon-Fri 6.30am-5pm, Sat 7am-5pm, Sun 7.30am-5pm. Also on Buccleuch St. 0131 662 9009. Mon-Fri 7am-5pm, Sat 7am-6pm, Sun 8am-6pm.